This past summer, Felix spent 10 weeks in South America. 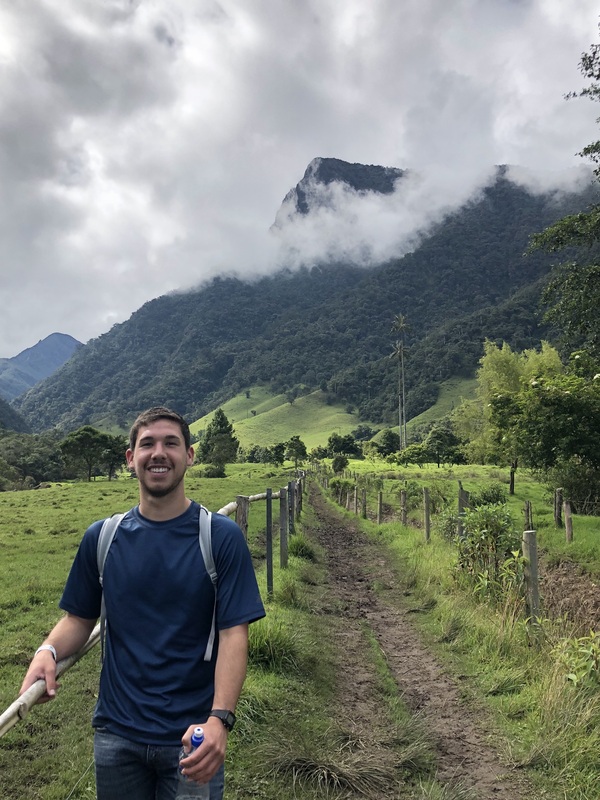 His trip began with 4 weeks of backpacking across Colombia and Ecuador with his good friend, and former Honors Ambassador, Drew Cox. Then, he concluded his trip with a UMKC faculty-led foreign exchange program in Buenos Aires, Argentina. Felix especially enjoyed his time abroad because it was his first experience of cultural immersion. Though he admits that backpacking was stressful and hectic at times, he is very grateful for the outside the classroom experience he acquired through crossing international borders, navigating cross-country buses, and functioning in a non-native culture. Felix highly recommends studying abroad or dedicating undergraduate time to traveling abroad and experiencing new and different cultures. He suggests speaking with peers and professors that share common interests in travel to create an idea of an exemplary, personalized experience. For ideas about going abroad or to learn more about Felix’s travels, feel free to visit him in the Honors Ambassador office!